Since earning his PhD in the Department of Comparative Pathobiology at the Purdue University College of Veterinary Medicine, Dr. Tony Frank (PU PhD '88) has had a remarkable career and last month he added yet another accolade to his list of awards and accomplishments. The National Western Stock Show in Denver, Colo., named Dr. Frank the 2018 Citizen of the West, an award that recognizes those who embody the spirit and determination of the Western pioneer and perpetuate the West's agriculture heritage and ideals. A committee of community leaders made the selection, which was announced September 20. The award is an apt recognition for the veterinarian who now serves as president of Colorado State University and chancellor of the Colorado State University (CSU) System. A 1985 DVM graduate of the University of Illinois College of Veterinary Medicine, Dr. Frank went on to complete his PhD and residency in pathology and toxicology at Purdue in 1988 before joining the faculty at the CSU College of Veterinary Medicine and Biomedical Sciences as a professor of pathology. He later became chairman of the department and then was promoted to associate dean for research. 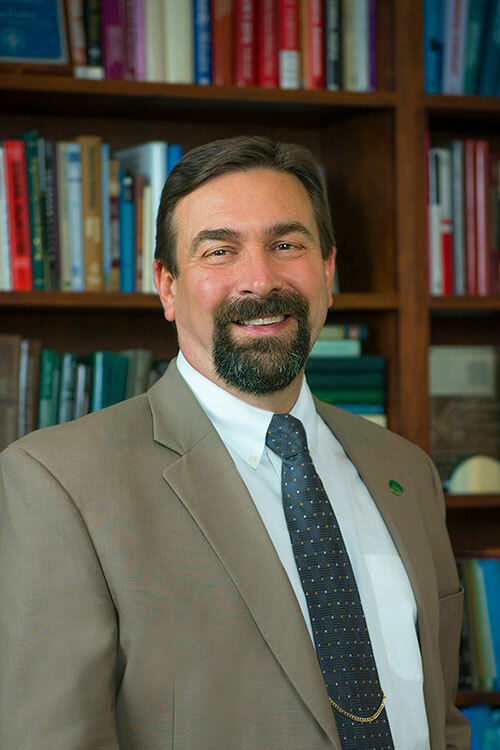 In 2000 he accepted the position of vice president for research and information technology at CSU, and then became provost and executive vice president in 2004. Four years later, he was appointed as the university's 14th president. Dr. Frank is praised for his academic vision and leadership in enhancing the land-grant mission of CSU. "Tony has served Colorado State University and the CSU system with impressive leadership for many years," said Pat Grant, chairman of the board of the Western Stock Show Association. "He is an extraordinary visionary who is committed to a broader engagement of CSU regionally, nationally, and internationally, through an expanding role at the future National Western Center." In its 112th year, the National Western Stock Show is a charitable organization that provides college- and graduate-level scholarships in agriculture and medicine for practice in rural areas. Its mission is to serve producers and consumers throughout the world by being the premier Stock Show, Rodeo, Horse Show and center for year-round events. Dr. Frank will receive the prestigious Citizen of the West award at a dinner January 8, 2018, at the National Western Events Center.